atmos and adidas have teamed up for a barbershop-themed Yung-1, adding a nostalgic twist to the retro-influenced chunky sneaker. Drawing inspiration from the traditional barbershop pole, the atmos x adidas collaborative pair sees a mixture of vintage white nubuck, metallic silver leather and white mesh form the uppers, with hits of red, white and blue on the Three Stripes and lining. Sitting atop a sculpted and chunky torsion-equipped EVA midsole unit in white and a split red and blue sole, the special edition Yung-1 comes complete with white-on-silver trefoil branding and retro flat white laces. Highlighted in a vintage barbershop editorial video, this Yung-1 is arguably one of the more standout iterations in its roster. The classic colorway lends itself well to the sneakers overlapping panelling and reinterpreted Falcon Dorf look, adding a hit of Japanese sophistication and fun to the typical general release sneaker. 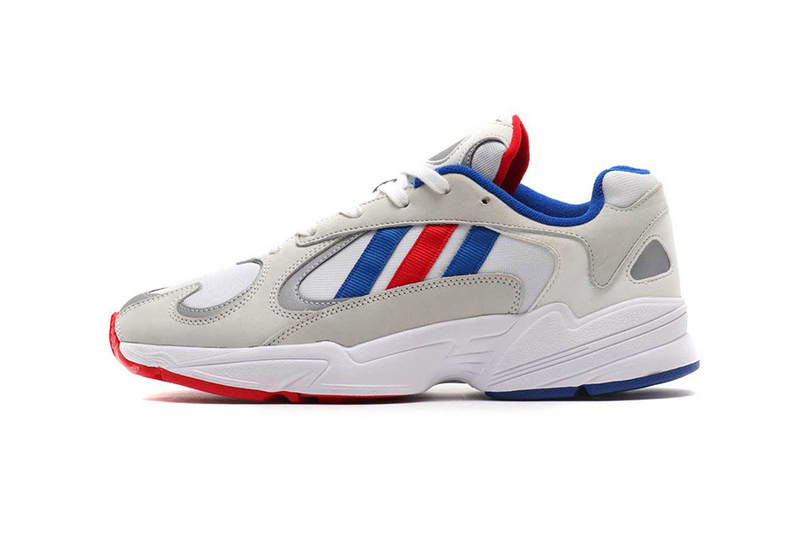 The atmos x adidas Yung-1 “Barbershop” will release on March 16 for $130 USD via atmos and select adidas Originals retailers. For retro-inspired kicks, check out the Ronnie Fieg x adidas Consortium Feet You Wear S-97. As well as discussing Zion Williamson’s blow out. Not a bad price for 50 million players in a single month. Reworking and reinterpreting classic ’90s staples.